The Finance Minister said Aadhaar was an evolving idea under the previous UPA regime and it did not have legislative backing. New Delhi: Finance Minister Arun Jaitley today exuded confidence that Aadhaar law will pass the test of constitutionality, saying the legislation has adequate safeguards for data protection. 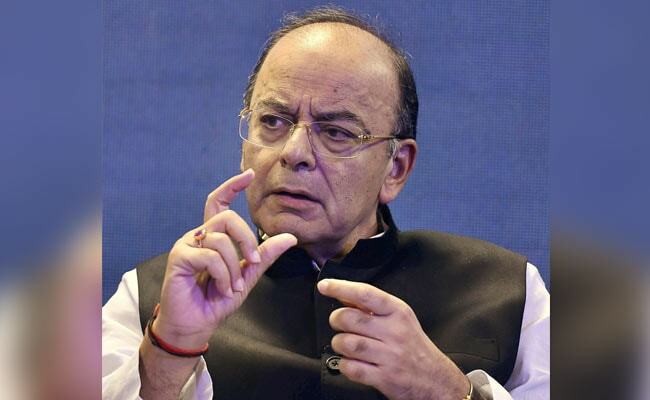 Mr Jaitley's comments at a conclave on financial inclusion organised by the United Nations here come amid a legal challenge mounted in the Supreme Court against making the biometric identification number, Aadhaar, mandatory for government schemes, including its linking to income tax PAN. The next date of hearing is in November. BJP-led NDA gave it a legislative cover with iron wall to ensure data protection and privacy, he said. "...a legislation was necessary and because of evolving debate the confidentiality of the data and (the need) to build some iron wall around the data itself. The (Aadhaar) legislation has been passed and I am sure it will stand the test of constitutionality," he said. Last month, a nine-judge Constitution bench of the apex court had declared the Right to Privacy as a fundamental right saying it is protected as an intrinsic part of the right to life and personal liberty under Article 21 and as a part of the freedom guaranteed by Part III of the Constitution. Mr Jaitley further said that the Supreme Court in its recent judgement has talked about reasonable restrictions while upholding the idea of privacy as an important constitutional guarantee under the Article 21 of the Constitution. Citing some of the conditions on privacy, he said: "They have to be by the law, they have to be obviously reasonable and some of illustrative restraints not exhaustive are in the larger interest of national security or for the purposes of detection of crime or for the purpose of dissemination of social benefits. "I think the third criteria is very consciously inserted because that is the principle purpose for which this was intended to be used and that is where this interplay of over a billion Aadhaar number over a billion bank accounts and mobile phones itself has an important role," he said. Pointing out that untargetted subsidies result in wastage of resources, he said once you are able to create identity network then you make sure the social benefits must reach those segments of population for whom it is specifically targeted as resources of states are limited.